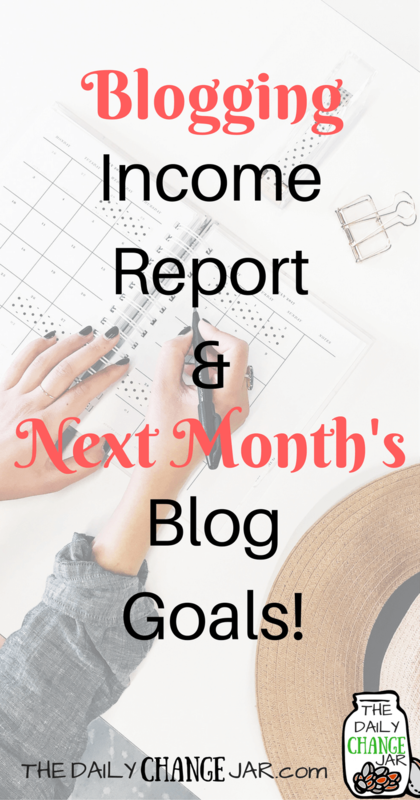 I have been having an internal debt with myself since I started the blog as to whether or not I should share my blog income report, considering my blog is still such a baby and has yet to really gain traction. But I figured, what the heck! Blog income reports, no matter the actual topic of the blog, seems to be very popular these days. 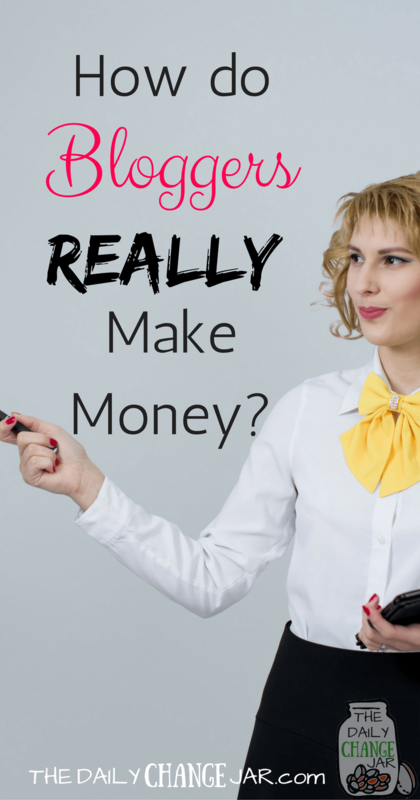 I mean look up “blog income” on Pinterest and you will see what I mean. Now I am not one to normally follow the crowd in other aspects of my life. However, when it comes to “getting seen” online, as a blogger and entrepreneur you have to give the people what they want! 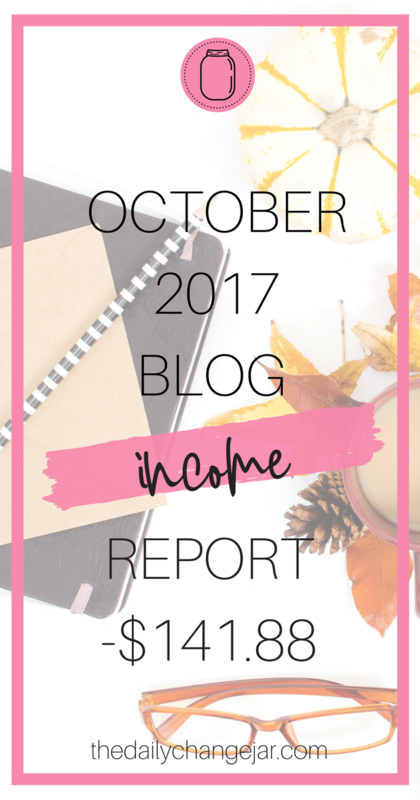 So I am happily, albeit nervously, sharing my blog stats and income for The Daily Change Jar for October 2017. I’ll be honest, I haven’t made much…at least not yet. I officially launched the blog in mid-September 2017, so at the time of this writing it is not even 2 months old, yes, baby blog indeed. But that is ok. Even the big shots started somewhere right? Although I would consider myself a newbie blogger, I have been doing random things online for a few years. Although I had no direction, actual goals (you know like the SMART goals you actually write down) or consistency in what I was doing. I would dabble in things here and there and either couldn’t put in the time or money to get it off the ground. Or I just didn’t flat out know HOW to do it. However, something changed in the second half of 2017. After floundering around for what seemed like forever, I decided to really get down to business! You see, in November 2016 I was fired from my job as an online marketing manager. This was my first real virtual job and I had never done anything, in any official capacity, with online marketing before. Although I LOVED the job and will admit, I was pretty underqualified for, I gave it my best shot. Getting fired was a real wake up call for me. It made me realize a lot about myself and what I did and did not want out of life. Also a few of the ins and outs of working online. #1. I didn’t want to work for someone else…PERIOD! (ok, freelancing and VA here and there is great, but I wanted to get away from having a “BOSS”) I want to do things my way and on my own terms. #2. I didn’t want my income to have to depend on someone else. I feel like I have never actually been paid what I am worth and could never advance at a job and wanted to do something that if I put in the hard work I can actually make a living doing what I love and be paid what I am worth (and then some!). #3. I wanted to give my husband the satisfaction of retiring at a young age and being able to stay home with our kids. *Although this hasn’t happened yet, it is in my 2-year plan, October 2019 and he can be free from his soul-sucking job! So I purchased my domain name thedailychangejar.com in early September 2017. From the beginning, I knew I had to treat this like a business if I wanted to see any type of results. To me, blogging is not a side hustle, it is my full-time job (along with raising my 4-almost 5 kids, volunteering for all their activities, and everything else that comes along with being a wife and a mother). Yes, it is a balancing act! Considering I “don’t have a job” it made it easier for me to put in hours a day to work on the blog. Also from the beginning, I tried to do too much at once. It took me a bit to figure out a schedule, which I am still working on perfecting. As the blog changes and kids’ schedules change, so does my “work” schedule. Instead of trying to be everywhere at once, my main focus became Pinterest (more on this in a second). There are still a lot of things that I need to work into my “distribution” schedule. I keep hearing that blogging is 20% writing and 80% promotion, which I am very quickly realizing is true! After I had my first 17 posts written. No magic number here, that’s just what I had finished at the time. I felt like I needed to get the posts on the site rather than sitting in my Google Drive. I was shooting for 25 published posts before I officially launched, so not sure if that has made any difference. I am kind of a perfectionist when it comes to things and if I hadn’t just gotten started, I probably still wouldn’t have launched it! There is a saying that I have to say to myself pretty much on a daily basis when it comes to blogging, “finished is better than perfect.” If I waited until everything was perfect, it would never get seen! I also needed to have some content on the site and make it look legit before I could apply for any ad networks. Being fully transparent here, again, blogging is not a side hustle for me, it is my full-time gig, I want to get paid for all this work I am putting into it eventually! Therefore my mindset from the beginning was to monetize the site. For ads, the site currently has both Google Adsense and Media.net ads. I did some research on having two ad networks on there and there doesn’t seem to be an issue with it. I did find in my research that is it appears to be better to put the Media.net ads at the top of the page “above the fold” and the Adsense ones lower on the page. I know this is something that is not going to make me money overnight but is more of a long-term strategy, as with everything else involved with blogging. It was not my original intent to have 2 ad networks on my site. I originally applied for Adsense but was denied, I believe because I didn’t have enough content on the site yet. So after doing a bit of research and realizing that Media.net contextual ads are great for new blogs as they don’t require a certain number of minimum monthly page views to get started, I signed up for them. Then a few days later I got an approval email from Adsense, so I figured, what the heck, if it doesn’t hurt anything let’s give them both a try! I also wanted to include affiliate links from the get-go. But again, some networks you need to be approved for and can’t just apply and start posting links. However, I would like to stress, that I only promote stuff that I either currently use, have used, and fully believe in their products! I will NEVER link bomb a page just to try to get sales. Although the goal is to make a sustainable income from this blog, I believe in ethical blog practices. When you serve people they will serve you in return. Think about this for a second, when you are purchasing through a small time bloggers’ affiliate link, you aren’t buying another “internet marketer” a second vacation home or 3rd Lamborghini. You are helping a mother buy groceries for her kids, or helping pay for a little girl’s dance classes. Plus it doesn’t cost you anymore if you were just going to purchase that product anyways. I recall a podcast episode with Pat Flynn where he said that people in his audience would actually reach out to him asking if he had an affiliate link for a certain product or service that they could purchase it through him just so he could earn a commission. How cool is that?! *Side note, if you plan on starting a blog or any other type of online business, make sure you are tracking everything! That way you can go back to see what your profit margins actually are and if you are spending more than you are making! I am rolling September and October together considering I didn’t really start any promotion of the blog until very late September/early October. Google Adsense – $0.89! Whoo hoo! Ok, so there is a $100 threshold to get a payout, so I haven’t actually MADE that yet, but it is good to see it higher than $0! Media.net ads – $2.39. 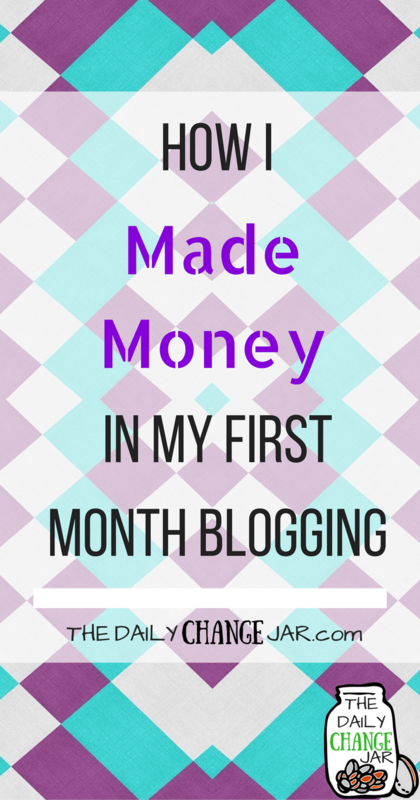 Also a $100 threshold, but again, blogging is a long-term game, not a get rich quick scheme! So again, none of this has ACTUALLY been paid out due to payment thresholds, but it is truly amazing to just see the numbers creep up slowly. Currently, my affiliate sources are pretty diversified and there are quite a few. I didn’t really start getting heavy into affiliate links until this month, so I’m a little behind. Although I do have some affiliate links in the earlier posts. The main one I started promoting this month through my first gift guide was Amazon. Amazon – I freaking LOVE Amazon! I have been shopping on there forever! I also pay for the yearly Prime membership (which I think is like $98/year), so worth it! If you want to give it a try for the holidays you can get a 30-day free trial membership here. I believe they also offer a smaller monthly payment for Prime. I can’t say enough good things about Amazon, really! Just make sure if you are ordering things that you are either ordering directly from Amazon or a reputable seller. I have run into instances (when I was trying to do drop shipping) where I purchased something really cheap, but it never showed up 🙁 . Surveys – Online surveys are a great way to make some extra cash here and there. I will admit, I have kind of fallen off the wagon with those as I spend the vast majority of my time working on the blog and 2 other smaller side projects. But I have made $100+ month with surveys without really even trying. Sitting in the car waiting to pick up the kids from school, standing in line at the store, riding in the car while the hubby is driving, just squeezing in surveys here and there can make you a few extra bucks a month. Or if you want to use surveys as your “gateway” into creating a sustainable income online, try doing them consistently at the same time everyday-like a job. You can read more on surveys on my posts here. Fiverr – I love Fiverr. It is a great place to get started selling your skills online if you don’t have the “experience” to get a legit online job. Don’t think you have the skills to get gigs on Fiverr? Think again! I wrote a whole post on “non-techy” gigs that you can offer on Fiverr. If you plan to start a blog, or do affiliate marketing through any other means, make sure you “diversify your portfolio” as you don’t want to have to depend on one single affiliate income. There are a few other affiliates sprinkled in throughout my posts, like Adobe Creative Cloud and Personal Capital. But not something that I am pushing. They are relevant to the content and if people make a purchase through them, then great! If not, no biggie. HostGator – $11.95 – I originally purchased HostGator when I was trying to do “niche affiliate sites” and needed to manage more than one site. They also offered a monthly payment plan rather than a yearly, which I could not afford at the time. If you are looking to only host one site, Bluehost is also a great option! If you are looking to host just one site and avoid the monthly expenses you can sign up through the exclusive link here for $3.95/month (paid yearly). You also get a free domain with that, which it will save you at least another $15 or so. Google Drive – $1.99 – I reluctantly pay for this cuz I like to keep everything in one place that I can access from anywhere rather than keeping things stored on my desktop. I might switch this up with something eventually, a free or cheaper option, however, I really don’t want to move everything at this point 🙂 and I like how Google Drive is organized. Canva – $12.95 – Ok, so this is not a necessity for new bloggers, but I REALLY love using Canva to create all my graphics. I opted for the paid version because it keeps all your branding and templates available and gives you more options for clipart and stock photos. I also do graphics work for others’, having the paid version just makes it a bit easier. 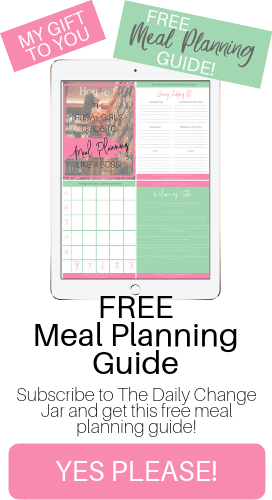 All of my blog graphics have been created in Canva. 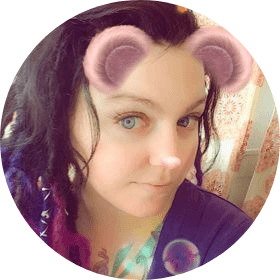 Even my logo, which I made myself 🙂 The free version of Canva works just fine for anyone wanting to start out without any additional monthly costs. I would eventually also like to get Photoshop Creative Cloud just so I can do some cooler things and create better printables to eventually sell, but that is not in the plans right now. However, it is pretty affordable at only $9.99 a month for just the Photoshop app. But be warned, it is not for beginners, there is quite a large learning curve. ConvertKit – $29 – Originally I had the free version of MailChimp, but it just didn’t give me everything I wanted as far as creating landing pages and opt-in boxes. Ideally, I want to get Clickfunnels, but couldn’t afford it at the time, although I happily would because they are freaking amazing and I LOVE their platform. If you want to check them out, you can try them for 14-days for FREE here! ConvertKit, however, has allowed me to start out making small funnels and landing pages with an email system that is easy to use and affordable for a newbie blogger. Tailwind – $14.99 – I originally was doing all my pinning manually until I realized that I got nothing else done. Although I love spending my days on Pinterest and that is my main focus as of right now, I need to do other things on the blog, like writing content for example, rather than spending hours a day pinning. Tailwind has saved me a TON of time and frustration with trying to figure out when and what to pin. Go ahead and give it a try, even if you don’t have a blog, you can pin some affiliate links on your personal boards and use Tailwind to schedule them (one of the 2 little side projects I am working on). You can get a month free by clicking here. 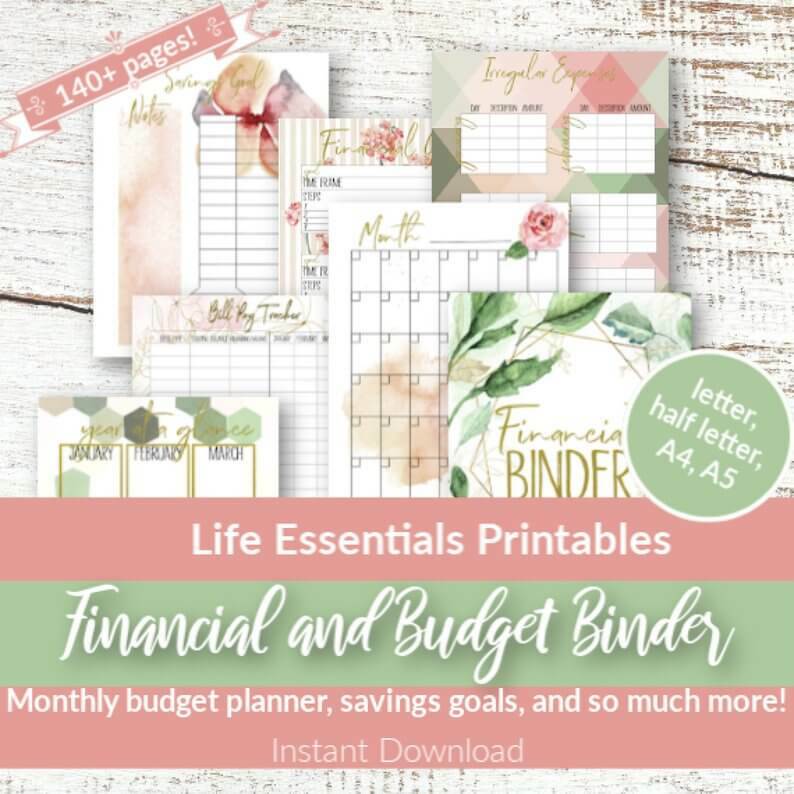 FollowLiker – $57.99 (one time with a $5.99/month recurring fee starting in November) – So in line with trying to automate more of my life, I chose to purchase FollowLiker for the Pinterest account for this blog. I am able to follow and unfollow people, send direct messages to new followers to get them to opt-in for a free downloadable on becoming financially free, and a few other neat options, all without thinking about it. I totally think it is worth the investment and plan to purchase more licenses in the future upon expanding my ventures! So, yeah, October is in the red, but that’s ok. It takes time and a bit of money to get things started. 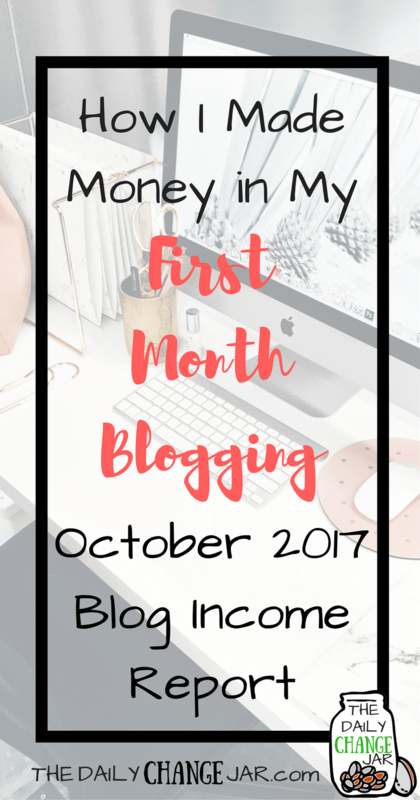 I was super excited when I started writing this post and went in to check my Media.net and Adsense accounts and realized that they are both at about $18, and that is only a few days difference! I can’t wait to see what the rest of the month will bring! Actually seeing results just energizes me to work harder! However, not all is lost. I did make some side income that was not generated from the blog. Gotta keep up with the side hustle right?! Business strategy-I had an ex-coworker of mine reach out and ask for help in developing a strategy for her direct sale business and how she can work on her marketing to drive more sales. So I created a small business strategy plan for her and charged $40 for 2 hours of my time. Sell stuff-We some stuff on Facebook buy/sell sites. Ok, so this was more or my husband doing the work than myself. But it seems whenever he posts things they get sold right away and when I post them I get nothing. I guess he just has the magic touch when it comes to selling random stuff on Facebook! We generated about $150 just from finding things around the house that we never use-like the quesadilla maker. So overall I actually came out ahead $48.12! Blogging is not easy, it has to be something that you really enjoy and want to do to make a living from it. Although I am not currently seeing a direct return on my investments, I know if I stick to it and be consistent I will. I mean, think about it the profit/loss of a blog compared to other endeavors. For example, my husband’s dream is to open a video game store, which would cost $85,000 up front, without the actual property. Which the place he wants is another $200K! So he would need to make $285,000 from the store before he would actually see a profit, and that doesn’t include hiring employees, utilities, or any advertising! Yeah, so the expenses that go into blogging are nothing compared to a traditional brick and mortar business. Another quick example. When I was first fired, I purchased a program that promised big results in e-commerce with Shopify. I paid $2,000 for the course and another $100 or so in Facebook ads (cuz I couldn’t afford any more than that) and made $0! The whole course was based on selling drop shipped products from China through a Shopify storefront using Facebook ads. Yeah, that’s fine and dandy for someone who has $100s/day to spend on ads, but I didn’t know that going in! So there went $2K out the window! When I put money towards the blog, I am very rational. I sit on my thoughts about purchasing something for a few days, do the research and sign up for a trial period before I take out my card. But just be aware that you can start a blog for $0, you will just be restricted in what you can and cannot do with it, and it might also take you a lot longer to grow it and see results. For example, you can’t put ads on a site that is not self-hosted, like a free Wix site. I said earlier that Pinterest is my main focus at this point. 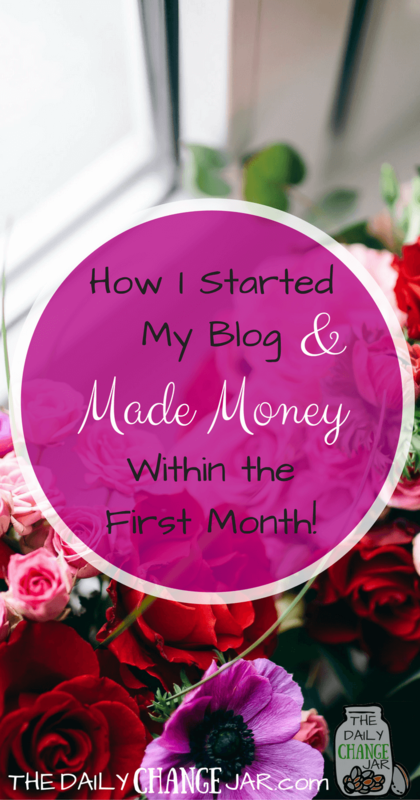 When I first got the blog up and running, I felt like I had to be everywhere at once. Pinterest, Facebook, Twitter, Instagram, Tumblr, LinkedIn, Google +, you name it! 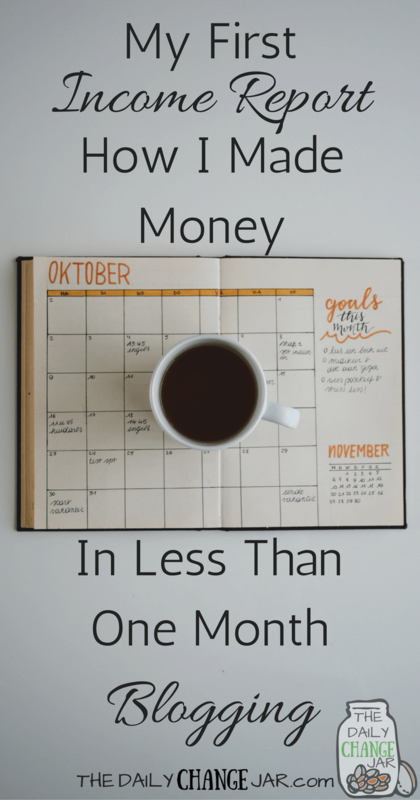 While there are advantages to being everywhere, it isn’t practical at this time, mostly because I don’t want to pay more every month for more automation software. Also, in order to get the most eyes on the blog, or any content for that matter, you need to be where your people are. 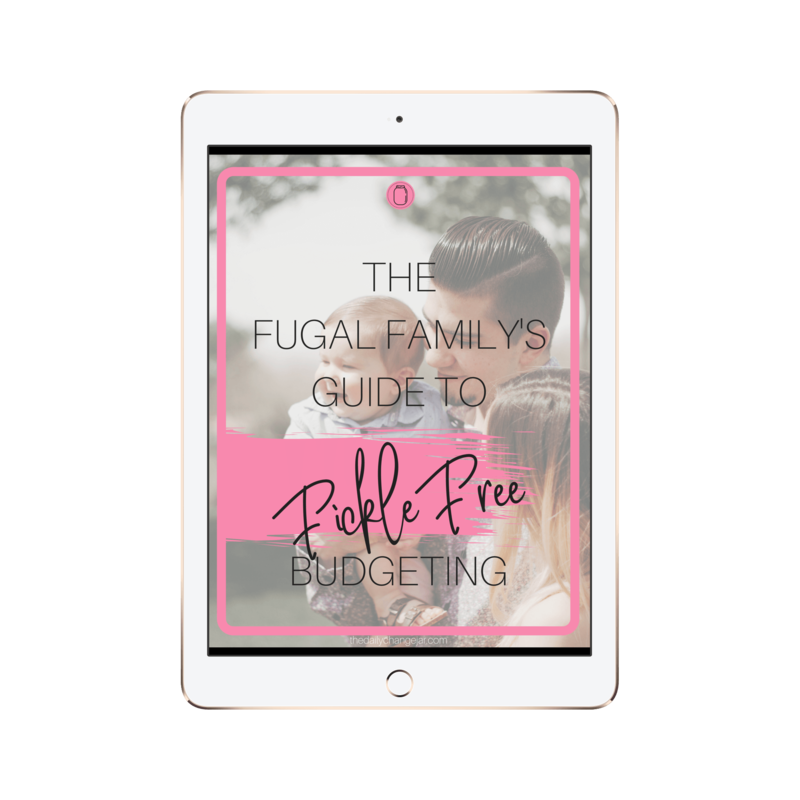 And Pinterest seems to be the place to be for frugal living, personal finance, money saving and making tips. The holidays are just around the corner, so why not try to cash in on the holiday buying frenzy while providing you, the readers, with great quality and frugal suggestions for everyone on your list. I just published the first gift guide earlier this week. It was super fun to put together and to create the pins for it, so I plan on trying to squeeze out as many as I can during the month of November, while still writing actual content. Like how to be frugal for Thanksgiving! 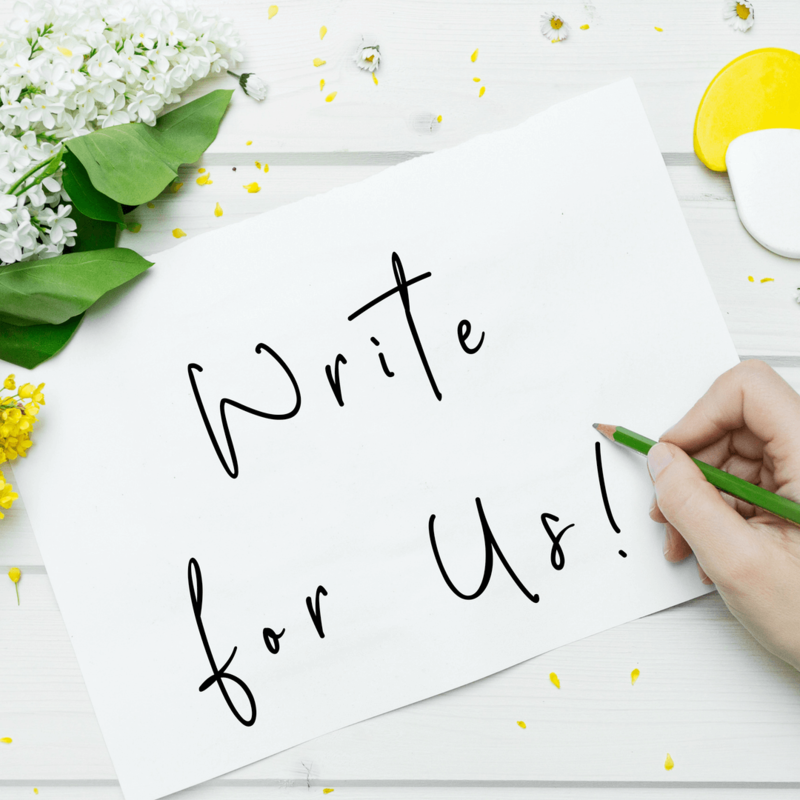 Reach out to other bloggers and start making some connections. I don’t have any other blogger friends yet 🙁 And I know by reading other blogs that making connections is pretty essential to success in the blogosphere. Lastly, to share my awesome blogging creations with my friends and family. 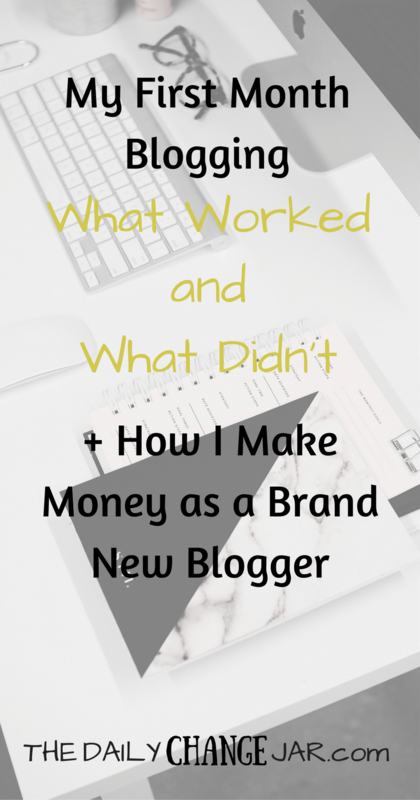 I wasn’t telling anyone about what I was doing with the blog, other than my husband and one close friend-who neither know anything about blogging or internet marketing. My husband doesn’t even really know what to tell people what I do…”she’s working on starting her own business…?” I love that he is so supportive, but that is so vague. I didn’t want to tell people what I was doing out of fear of failure. I’ve tried quite a few things that haven’t worked out and I didn’t want this to be another one. But I have made up my mind, this is not going to be a failure! I am going to make this blog successful if it kills me! Ok, not really, but I am not going to let this fail! There is a quote I saw on Instagram the other day, “work hard in silence and let your success be your noise.” Which was exactly my plan! If people I know want to know more about my blog, I will happily tell them. (Without being that annoying person that all they talk about is their blog or their new “business opportunity”) In the meantime, I will quietly post things on my personal Instagram linking to posts and other awesomeness. So there you have it! 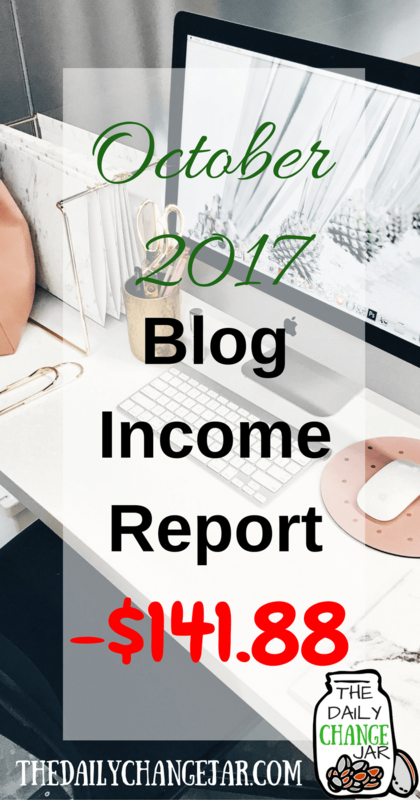 The first ever blog income report for The Daily Change Jar. I hope to look back on this within 6 months time and be able to update it with what I am making now and breathe a sigh of relief that all the hard work I have put in is worth it! Sharing is caring! Make sure you pin this for later! Pay Off Your Debt Fast With the Debt Snowball Method! So give me your thoughts! I would love to hear them! « 50 Amazing Amazon Gifts for $15 or Less for the Whole Family! Thanks Vanessa! It is a lot of work but keep it up. It will all pay off in the end! Really great article. I started my blog the first of this month and unfortunately, I accidentally launched it with only one post up lol. But I’ve been putting in a lot of hard work and I’m trying to be steady with my posts, I’ve been getting 50 views a day which is exciting. I’m very inspired by your story and I can’t wait to hear more! Kira, thank you so much for sharing. One post is better than nothing! Consistency is KEY! I have been lacking a bit with that since baby #5 has come along, when sleep deprived blogging is not always on the top of my list, but it should be! That is awesome that you are already getting views too! Keep up the good work and feel free to reach out with any questions at keegan@www.thedailychangejar.com. It makes me so happy to read this post, so thank you for your transparency. I relate to this SO much. From the online work for a few years to getting super focused in the second half of 2017... i haven’t officially launched yet as I’m also waiting for 25 posts and getting everything else figured out, but this all makes me want to dive in and just get myself out there! If you’re interested, i would love to connect with you! Bounce ideas off each other and kind of be that support system. Let me know! My name/email is melissa@lissaroseco.com :) and hey, great luck to you going forward! I’m right on the same train with you trying to free my husband of his job. I genuinely wish you all the best in reaching that goal for yours. Happy new year! Hi Melissa! Thank you so much for the comment. 25 posts is a great number to shoot for to launch :-) I would be happy to connect with you! Leah, I'm so happy to hear you found me on Pinterest, that has been my main focus as far as my marketing efforts. It was really a BIG step outside of my comfort zone to write this post and be this transparent, but I'm glad I did! I think as new bloggers, we need to be able to see what others are going through and how we are managing. It's not as easy as some may think, you don't throw up a post and have throngs of people clicking your affiliate links and racking in $100-$1000s per month right off the bat! 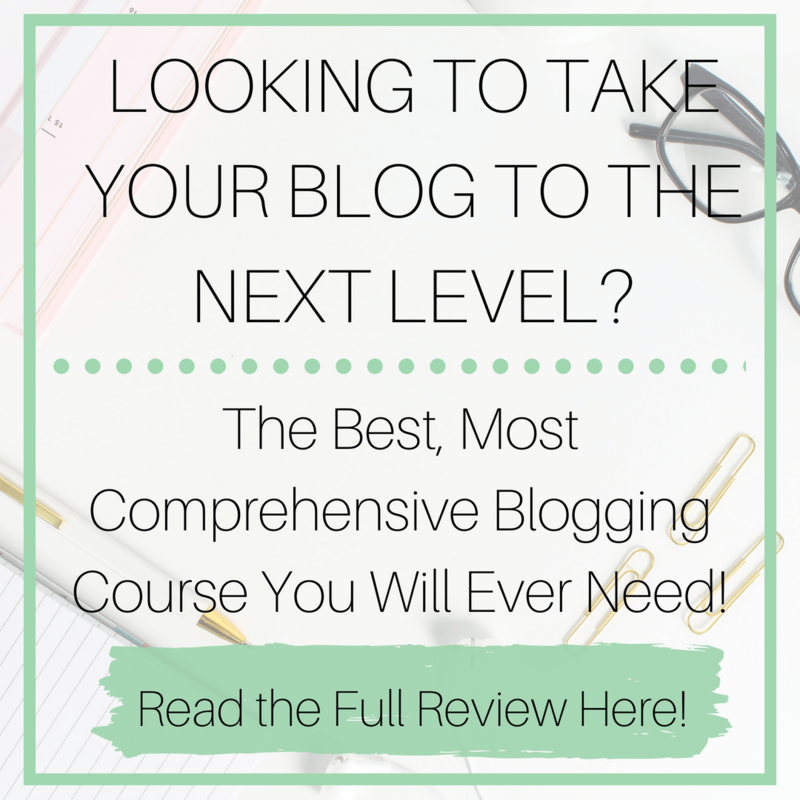 Keep up the hard work and dedication my blogging sister! P.S. your blog is adorable, I LOVE cats, but unfortunately my husband is "allergic" (or so he tells me lol). Thank you!!! I am a new blogger as well and I love your pure honesty!! I love this post and I love your transparency. Blogging is work and it takes time to grow. Keep it up! Thanks so much Mandi! Slow and steady wins the race right!